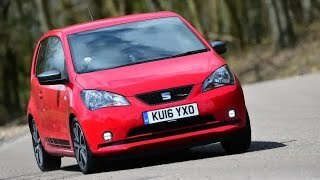 The SEAT Mii has been one of our favorite city cars ever since it is launched, and now it brings the newer version to the lineup i.e. 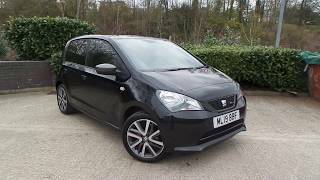 SEAT Mii FR Line 2016. It brings a dash of sporty character to the FR lineup. 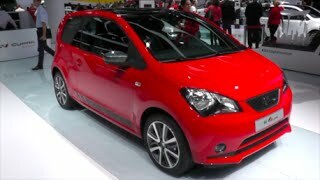 It is aided with equipments which match to Citigo Monte Carlo. 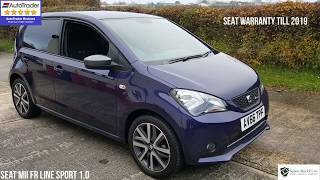 Let us have a close look at the review of SEAT Mii FR Line 2016 and get to know more about its features. The interior of SEAT Mii FR Line 2016 is classy with enormous gestures. The cabin has a red and black glossy finish on the dash, sportier-looking seats and red stitches on the steering wheel. The wheels look good with black decals along the side of the car. The new seats are wrapped in stitched with leather and are comfortable and the black dash look completely awesome. In addition there is Bluetooth connectivity for easy music streaming. The doors are grey mirrored in the interior. All these feature make the model’s interior glorious in appearance. The Exterior of SEAT Mii FR Line 2016 has a sportier look. It is featuring 16-inch alloys, special decals on the sills, and FR badges. It is added with the plenty of standard equipment, with fog lights and sat-nav. The only change in FR line model is a slight stiffer suspension set-up. It also has a boxy shape which means g there’s a lot of room inside considering the exterior dimensions. The wheels look good with the black decals along the sides of the car, and the black dash looks slick. The features add the elegance to the model. The SEAT Mii FR Line 2016 is powered with 1.0-litre 3cyl petrol engine. There is a slick gear shift and the three-cylinder engine all add to the deriving experience too. 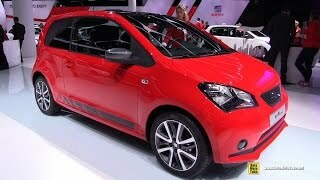 The car offers the top speed of SEAT Mii FR Line 2016 106mph. The total output offered by the Mii FR is 74 hp.